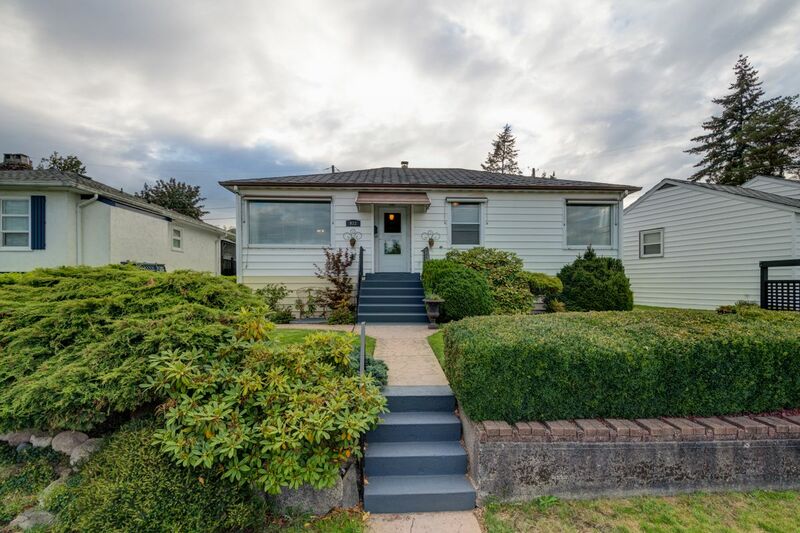 Great opportunity to own a great home on one of the best family streets in New Westminster. This three bedroom main floor home has had significant mechanical upgrades: furnace, hot water tank, electrical, and new outside sump. Updated kitchen with granite countertops and a new stainless steel appliance package. Updated main bath with slate flooring, marble wall tile and double granite vanity. Enclosed sun room makes for some great extra space on this main floor and opens onto a large patio and generous rear yard. Basement is fully finished with good height, a fourth bedroom, rec-room and lots of storage. This home has a single garage off rear lane. A little secret park is located in the lane. The Crest Shopping Centre is steps away. Easy access to #1 Hwy, SFU and private schools.